Pinterest is nothing if not a breeding ground for people who love quotes of all sorts: inspirational quotes, fashion quotes, funny quotes, and so on. As such, it makes sense to us that the social media site is a great way to gauge which quotes resonate with people in general; so we set out to find out just that. We used a helpful tool called Pinsearch to dig up precisely which fashion quotes are the most-pinned, liked, and shared. Going in, we suspected that knowing the top 10 fashion quotes on Pinterest is akin to knowing the top 10 fashion quotes in life, and the results—featuring the musings of everyone from Coco Chanel to Tom Ford—confirm our suspicion. Click through the gallery below to read the top 10 most popular fashion quotes on all of Pinterest! 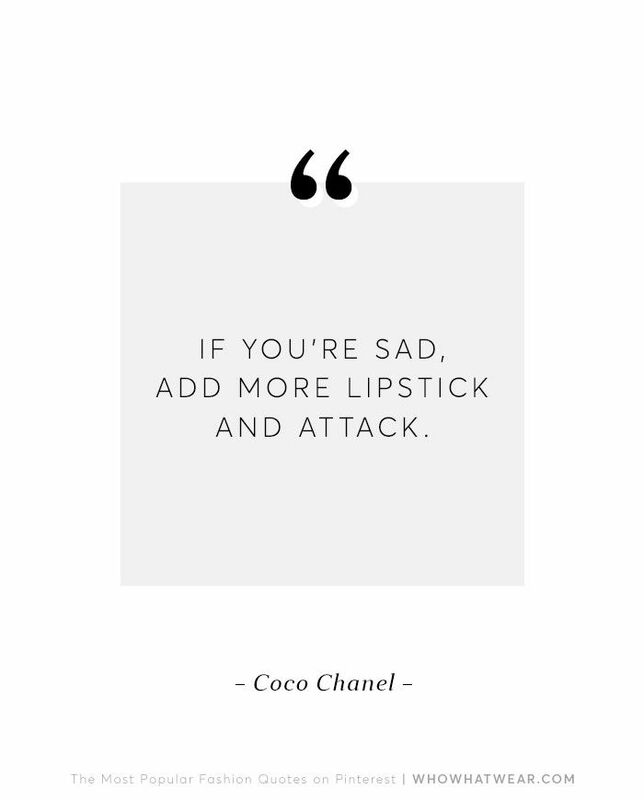 Keep scrolling to shop more from the queen of fashion quotes: Chanel! What are your favorite fashion quotes of all time? Share them in the comments below!